Conejo Valley Truck Accident Injury Lawyers and Wrongful Death Claim Attorneys! We Are Trusted Personal Injury Lawyers With Over 40 Years Of Experience! 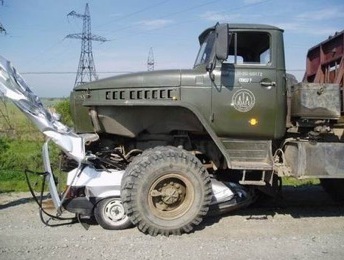 Our Conejo Valley, Los Angeles County truck accident lawyers offer expert legal assistance for those injured in a truck, car, motorcycle or any other kind of accident. Such truck, auto and motorcycle ccidents can cause devastating injuries and property damage that need legal assistance. We also extend our legal expertise to distraught family members and relatives of those killed in a truck collision, car accident or motorcycle crash caused due to the negligence of another with wrongful death accident claims. If you need assistance in your personal injury case or in a wrongful death claims case of a loved one, contact us now for aggressive yet compassionate legal representation to obtain clear legal advice and maximum compensation for your damages – both for all physical and emotional injuries. You can contact us for a completely FREE & CONFIDETIAL INITIAL CASE CONSULTATION & EVALUATION. Find more information about our experienced truck accident personal injury lawyers on our home page. To know about our lawyers in detail, browse through our lawyers’ profiles, and our personal injury and wrongful death case testimonial pages for details on the cases for which we have successfully recovered Millions in compensation. Once you have done this, please call us at 818-222-3400 or 1.866 INJURY 2, or simply click here, for our 24/7 contact information. A region spanning both south-eastern Ventura County and northwestern Los Angeles County in Southern California, Conejo Valley is located in the Santa Monica Mountains on an elevated area. 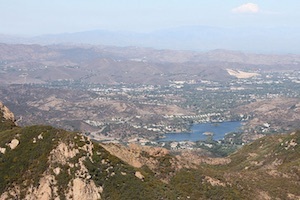 The area is bordered by the San Fernando Valley and the city of Los Angeles to the east, Simi Hills to the north, Las Posas Hills and the Santa Rosa Valley to the northwest, Conejo Mountain (also known as Conejo Hills) and Oxnard Plain to the west, and the Santa Monica Mountains and Malibu to the south, the Pacific Ocean beyond it. For intrepid travelers, there are many beautiful places to hike throughout the Conejo Valley and other surrounding areas. With waterfalls, grottos and other great things to observe, vacationers can visit the Oak Canyon Splash Park, Dog Park and Duck Pond. In majority of truck accident cases, the cause is driver’s negligence. However, other factors involved may contribute to a fatal truck accident. For instance, equipment (like braking systems and tires) or safety features may malfunction, creating locked brakes or malfunctioning horns. An injured party may not be aware of such causes and responsible parties and many other facts that can make their case stronger. Our experienced truck accident personal injury lawyers offer their years of expertise and successful handling of truck accident personal injury claims and wrongful death claims in Conejo Valley, Ca. If you were injured, or if a family member was killed and you want to pursue a wrongful death claim, please call and contact us now. Why Choose Our Conejo Valley, CA Truck Accident Personal Injury and Wrong Death Accident Lawyers? We possess more than 40 years of experience in successfully resolving thousands of truck accident, car accidents, motorcycle accidents and other personal injury cases all around the Conejo Valley, Los Angeles, Ventura and California. We offer an absolutely FREE & CONFOIDENTIAL CONSULTATION – and there is NO fee until you win! For a quick and easy way to contact us, tell us all about your truck accident personal injury case by filling out your case details in our contact us form. Our personal injury lawyers will get back to you in no time. We work on contingency fees on accident injury cases. This means there is NO legal fee charged or due unless and until we win your case and recover maximum compensation for your losses, hospital and other medical expenses, loss of earnings & loss of income, property damage, rental and any other damages.